Gesso mould carved with laurel. 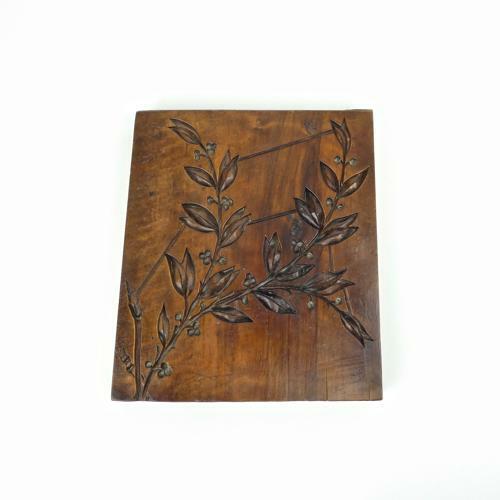 A charming wooden gesso mould carved with branches of laurel. This piece is carved in boxwood and it dates from c.1820. Originally it would have been used for moulding gesso but similar moulds were also used for sugar moulding and they can be used for either. This one is very well carved and the design is quite deep. There is a small split in the wood, which can be seen in the images, but this has not opened up. It is in very good condition.